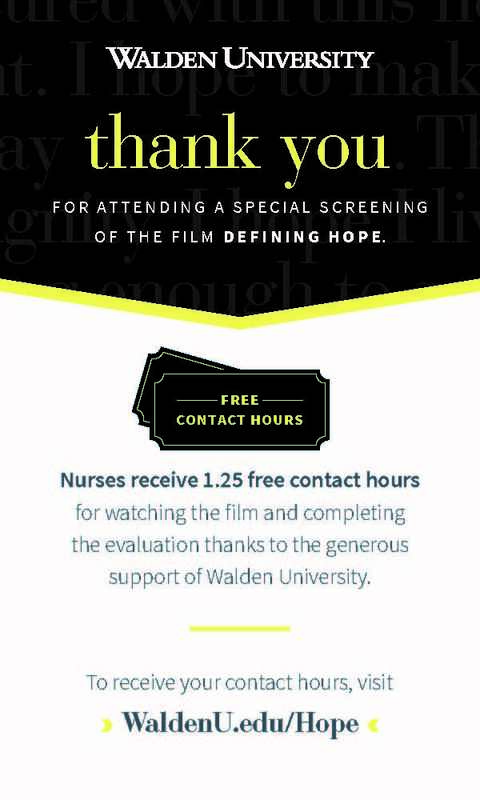 Nurses will receive 1.25 free contact hours for watching the feature-length film and completing the evaluation, and 1.0 free contact hours for watching the broadcast version on PBS stations and completing the evaluation, thanks to the generous support of Walden University. 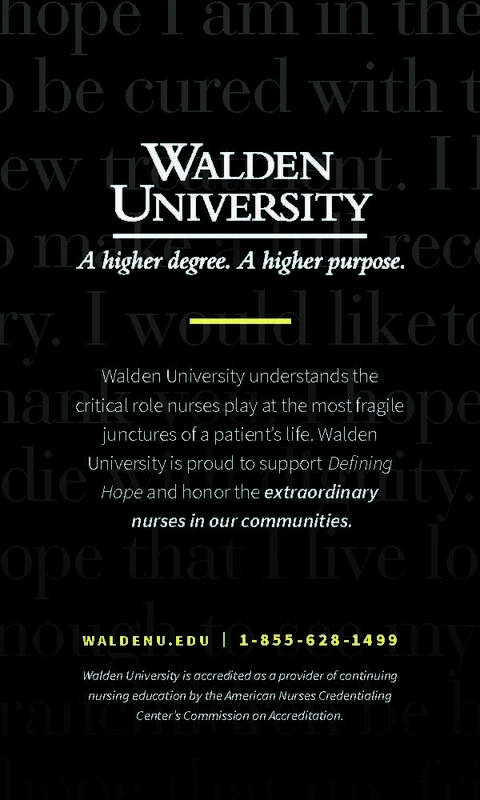 Walden University is accredited as a provider of continuing nursing education by the American Nurses Credentialing Center’s Commission on Accreditation. CLICK HERE to obtain your contact hours – Feature-length version. Expiration date for obtaining contact hours from this feature-length viewing is February 20th, 2020. CLICK HERE to obtain your contact hours – Broadcast version on PBS. The planners and presenters have not disclosed any financial interests or received any in-kind materials or funding that could influence the planning or presentation of this material.